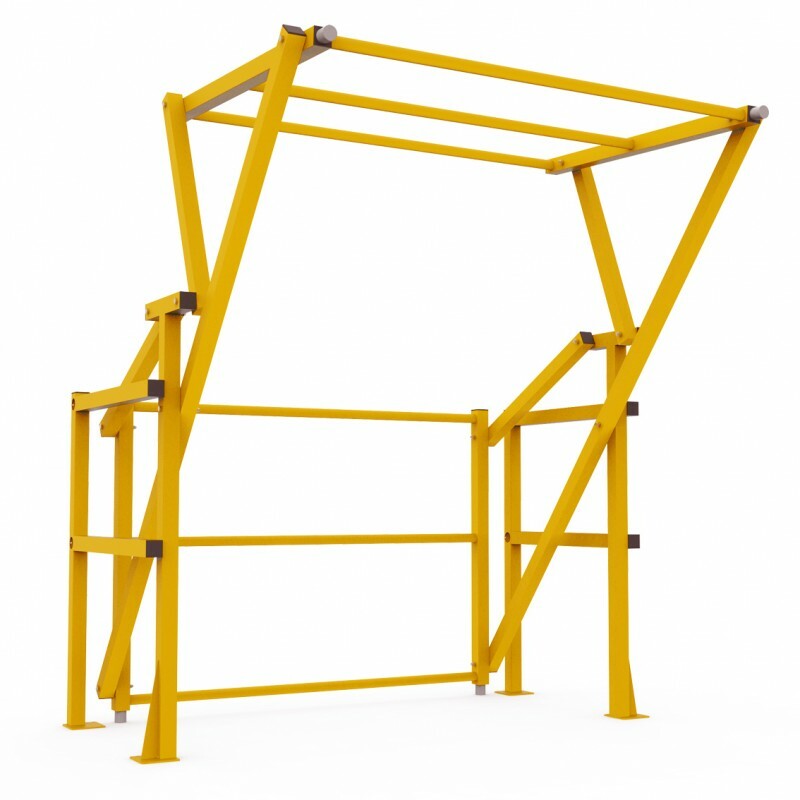 The Pivot Safety Gate, also known as Anti-fall tilting barrier, is a collective security and protection element. Its use is mandatory according to the labour risk prevention regulations. 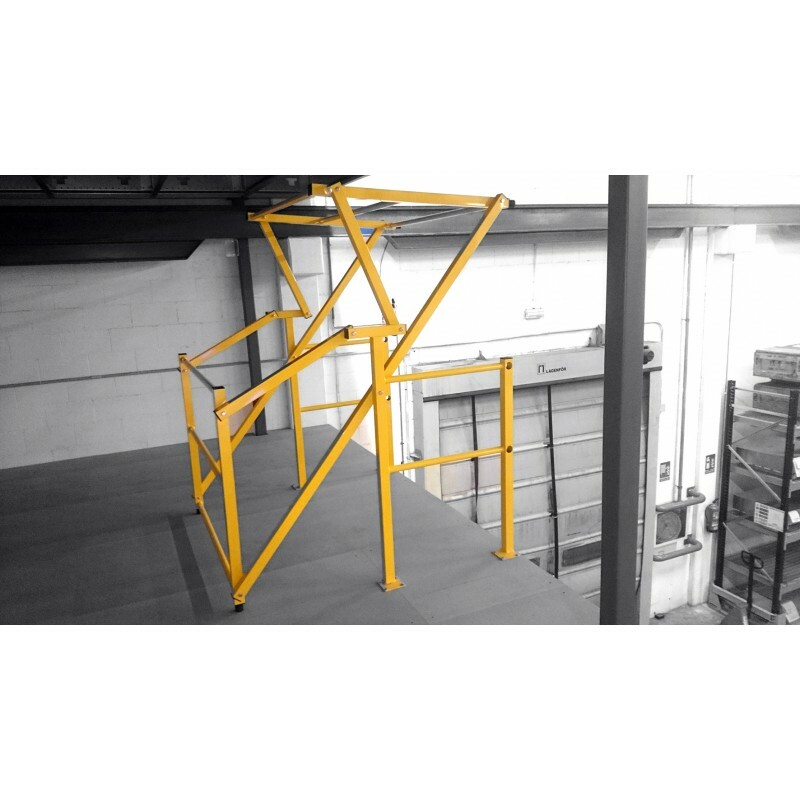 It avoids the people falling while lifting loads to a mezzanine or to any other level. It works as a rocker: the merchandise is deposited in a position using a forklift and taken away in the other position from inside the mezzanine. This way, one of the railing sides is always closed, avoiding falling to a different level with no need to use harness. 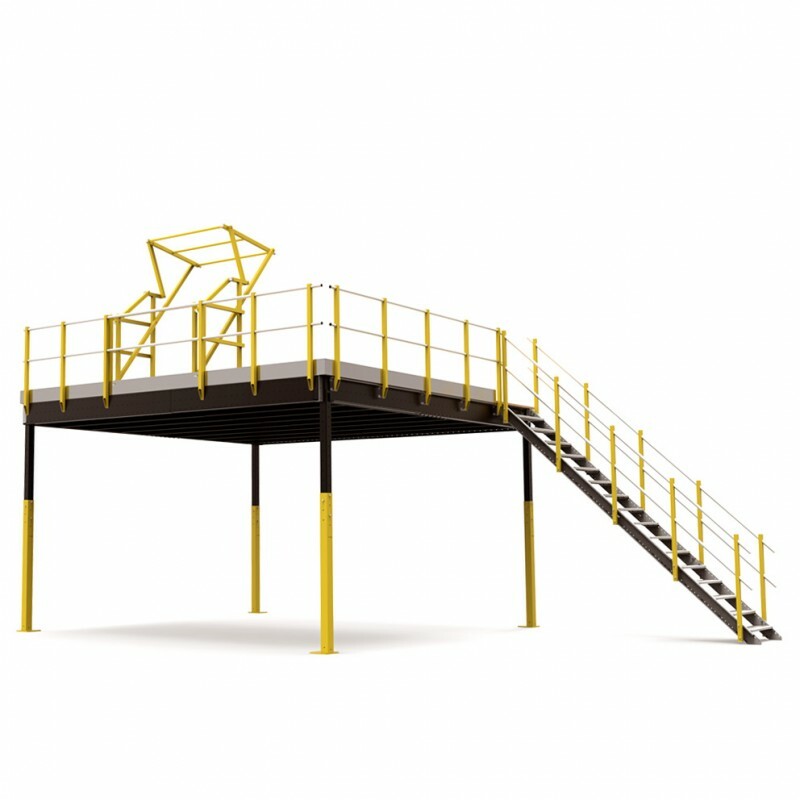 The Pivot Safety Gate is specially designed for its integration with Tecrostar mezzanines and railing, though they can also be placed in a different surface. They are really safe and easy to install. The dimensions of the maximum load to deposit and the dimensions of the gate itself depend on the model, as shown in the main image. 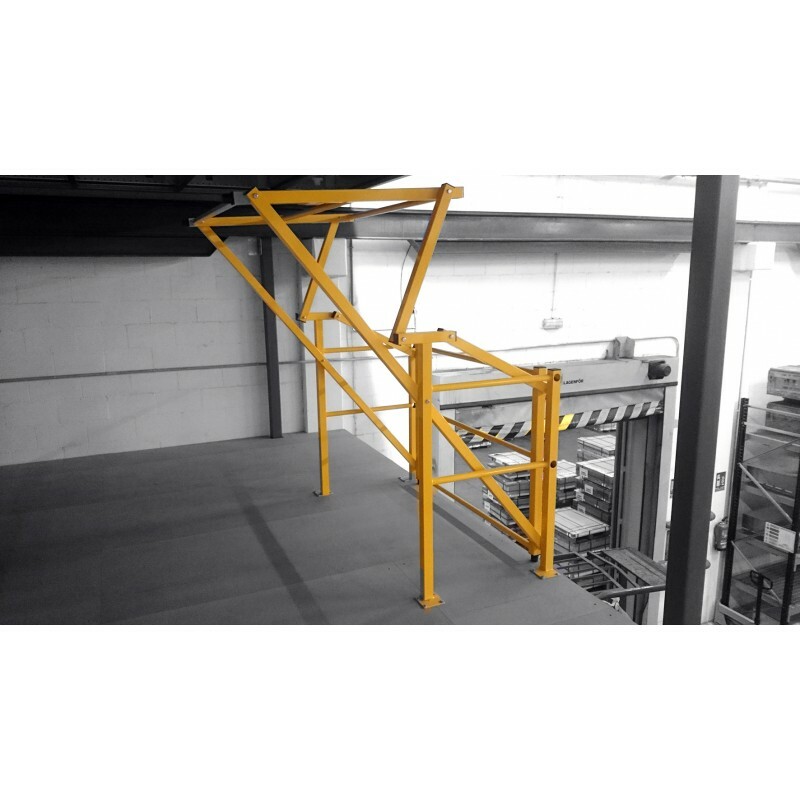 The Pivot Safety Gate or Anti-fall Tilting Barrier is an ideal protective element to be located in the Mezzanine TXL 32. It is designed to be used in industrial structures. 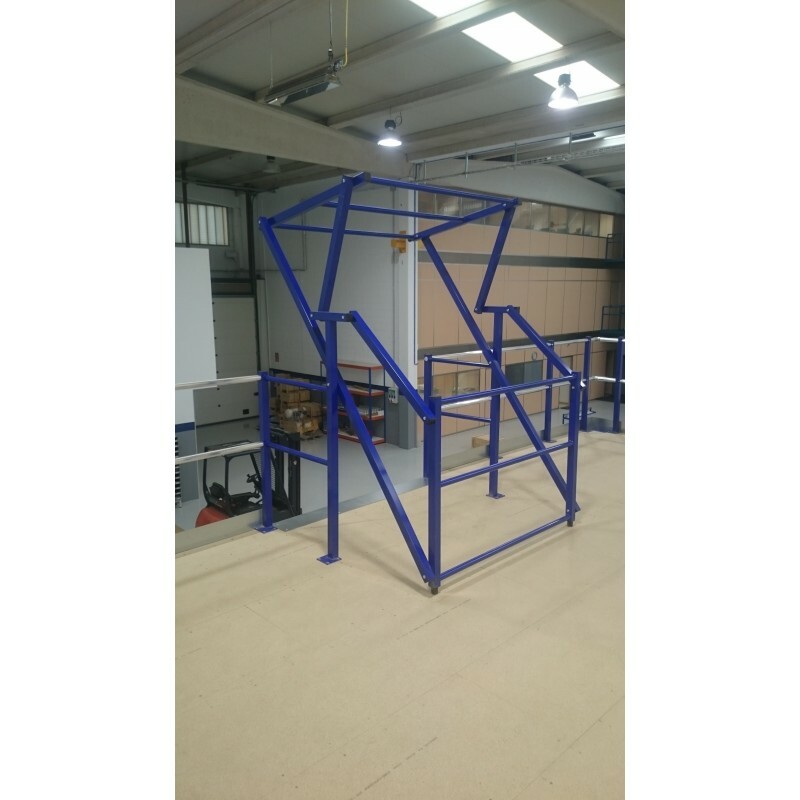 It allows to move heavy loads from the lower surface of the mezzanine to the upper side and vice versa, with a complete safety of movement. 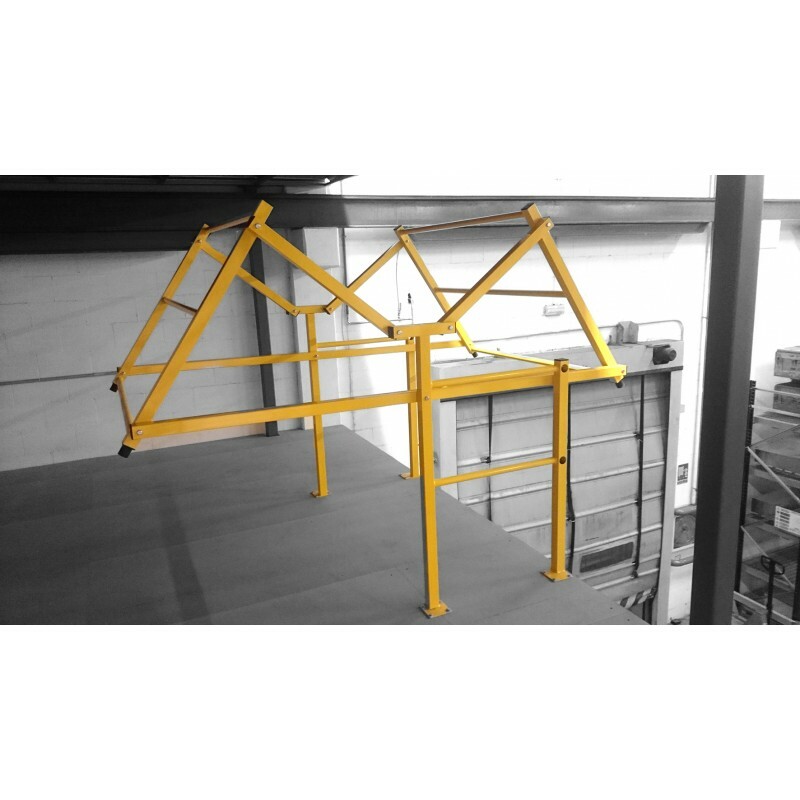 With a capacity for volumes of 145 cm maximum width and a height up to 235 cm, the Pivot Safety Barrier is the adequate complement for the industrial use of the Mezzanine TXL 32. It prevents the fall risk of the material when the merchandise is stacked, thanks a to a perimeter protection and to the easy opening and closing system it offers. According to the standards and ergonomics in different workplaces, the Pivot Safety Gate is ideal for easy handling systems. It enables a maximum availability in the workspace, both in spaces with high ceilings and zones with limited height.